Beautiful 1406 Sq. Ft. home on a corner lot in Bonnie Pines community. 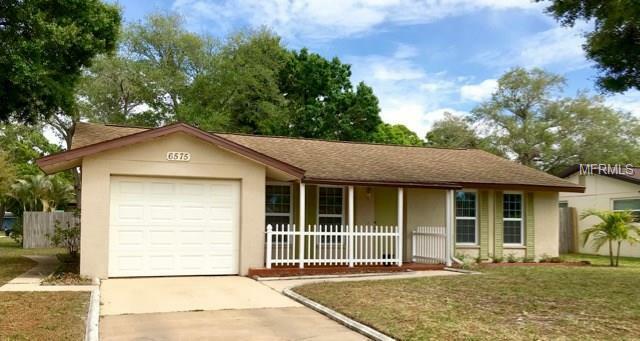 The home features 3 bedrooms, 2 baths, 1 car garage and is move-in ready. The kitchen has been nicely updated and has space for a breakfast nook. The kitchen opens to dining area and living room so you can stay connected with the family while preparing meals. Laminate flooring and tile run through house except for carpet in one bedroom. Every bedroom has a walk-in closet with one bedroom having a second closet, giving you lots of storage space. The two largest bedrooms share a bath making it seem like you have 2 master suites! Roof replaced in Dec. 2010 and A/C was new in 2014. Nice large backyard with a patio for those family cook-outs. A big shed in the backyard can store all your yard equipment or anything else. Great location near shopping, schools and just minutes from the beach. Call and come take a look today!